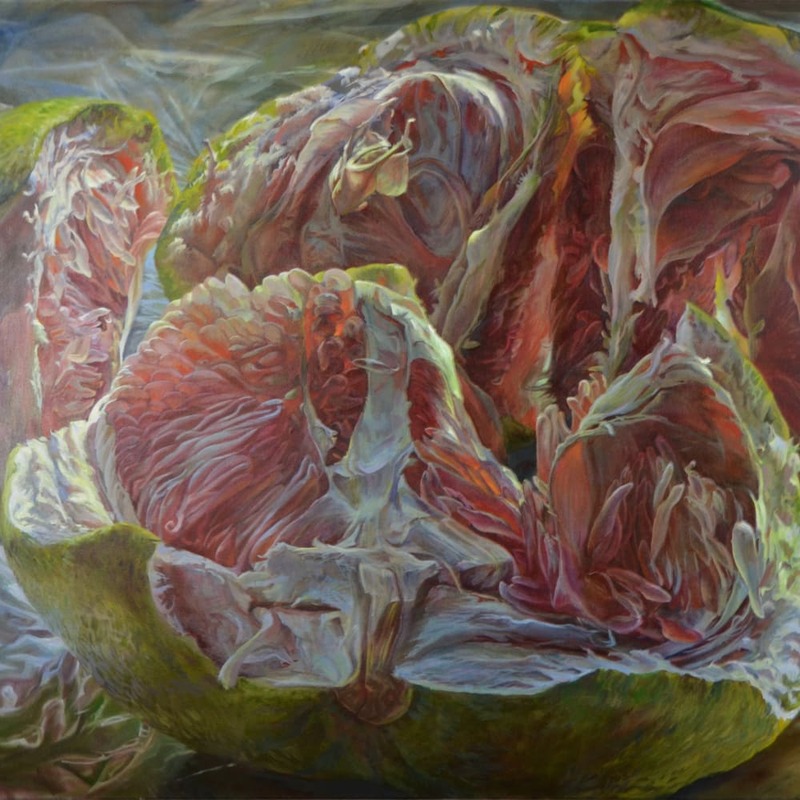 Andrea Kantrowitz invites you to look beyond a literal description of fruit and fungi, and see what else can be discovered. The artist embraces the contradictions of living flesh in the thick and heavy medium of oil paint: life’s elegance and absurdity, its universal processes of seduction, destruction and regeneration. Fruit and fungi stand in for human bodies, their forms shaped by the same evolutionary imperatives as our own, to go forth and multiply. Kantrowitz earned her EdD at Columbia University, her MFA from Yale University School of Art and her BA from Harvard University. She lives and works in Pelham, NY.